PTFE compensators are the only solution in case a high degree of flexibility is to be combinded with vacuum and pressure resistance. In a special procedure using pressure and temperature, homogenous and non-porous winded hoses are formed into a high pressure bellow which withstands a pressure up to 16 bar. 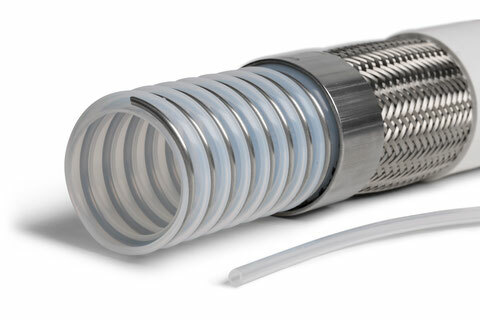 PTFE compensators are available from DN 25 up to 600mm.